Bael is the most ancient sacred tree in India. Mostly, it is planted near the temple and used as a dedication to Gods. The leaves of the tree are used to worship Lord Shiva and without the use of this, the worship is incomplete. The leaves are also used to worship Parvati and Viva Rupra. The use of this plant is seen in Scripture like Vedas and Mahabharata. The plant species act as a climate purifier by absorbing poisonous gas from the atmosphere. The products obtained from Bael are highly nutritive as well as therapeutic. Bael trees are found in Indian sub-continent, tropical and sub-tropical countries. It is mostly found in Deccan Plateau, East Coast, Chhattisgarh, Uttaranchal, Jharkhand, Bihar, Himalayas, and Madhya Pradesh. 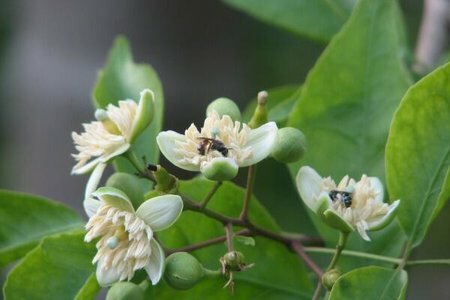 It is also found in Egypt, Burma, Bangladesh, Java, Philippines, and Malay. The warm humid climate is good for cultivation of the plant. Bael has enough medicinal value because of the presence of various alkaloids, polysaccharides, and essential oils. And it shows high antioxidant activity. It is used in the anti-cancer activity. Fruits: The fruit has enough medicinal value. The juice of the fruit gives comfort from constipation and dyspepsia. The fruits are used against viral and intestinal parasites. The fruits are used to prepare squashes and cold drinks. The unripe fruits can be used after roasting. It can be used for the treatment of tuberculosis and gynecological disorders. It also can be used against the urinary complaint. The fruits are also used to increase appetite. Because of bitter and pungent taste of the fresh fruit, it can be used to decrease the blood sugar. The fruit is also used in intestinal disorder. 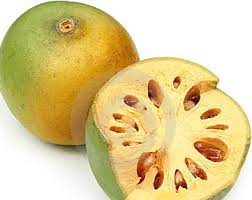 The fruit also can be used in treatment of diarrhea, dysentery, bacillary and irritation in the elementary canal. The juice can be used as brain and heart tonic. The leaves are used for a diabetic. Buy pure Bilva leaf powder (BAEL LEAF). The infusion of leaves can be used against peptic ulcer. 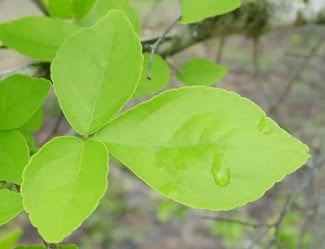 Leaves are also useful for the treatment of Jaundice, leucorrhea, wounds, deafness, conjunctivitis. Raw leaves can be used to cure gastric problems and irritation in the bowel. Oil prepared from leaves is proved to stop insect infestation. The leaves are also used in pediatric disorder. Extract from leaves is used in the anti-fungal activity. The leaf juice with honey is used during fever and cold. Tonic prepared from flowers can be used in epilepsy. The extract also can be used for the treatment of dysentery and diabetics. Fruit Pulp: Because of the detergent action of the fruit pulp, it can be used to wash clothes. Marmelosin present in the pulp cures cardiac depressant. Roots: Methanol content of the root is used in anti- micro filarial activity. Dried fruit: Dried fruit without pulp can be used as pill boxes for storage. Buy Himalaya Bael Tablets. 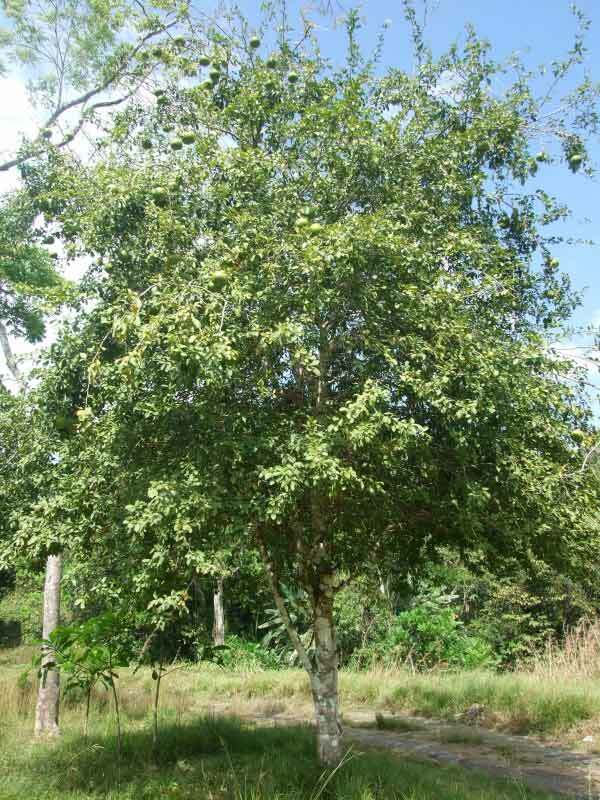 Bark: The bark is used as fish poison. Baels are full of beta carotene, Vitamin B and a small quantity of Vitamin C and numerous bio-active compounds are extracted from it. In India, it has enough traditional value and has been used to cure various diseases since time immemorial.